Trichocereus camarguensis, also known as Echinopsis camarguensis, is a Bolivian cactus from Camargo. 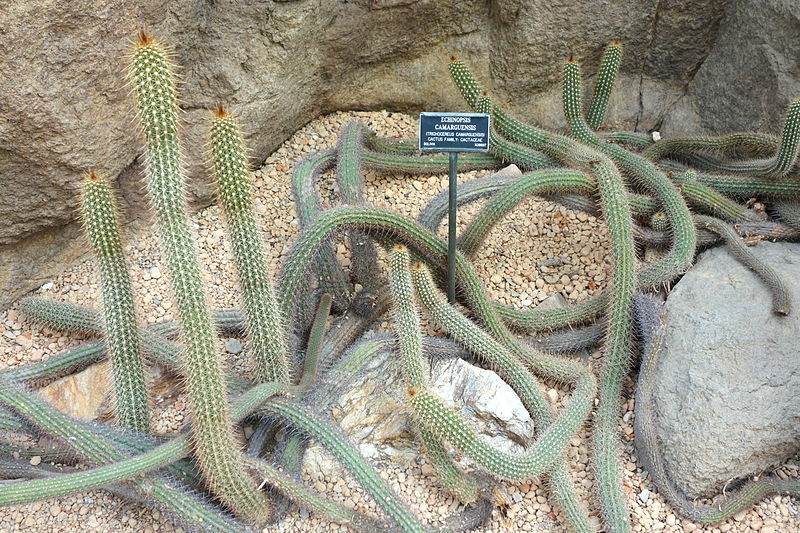 Trichocereus camarguensis is a thin Cactus that resembles Trichocereus strigonus, huascha and some forms of T. spachianus. It has golden Spines. 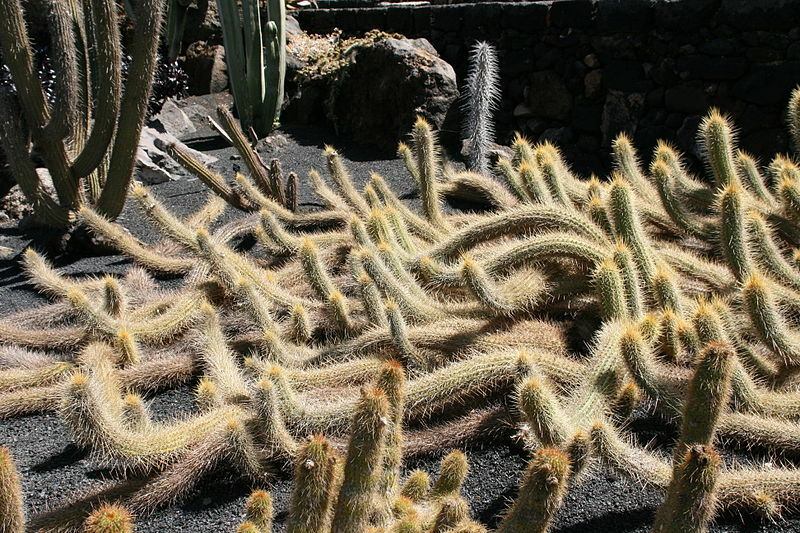 Live cuttings and seeds of Trichocereus camarguensis were distributed by various sources, including Karel Knize under the collection Number KK1414. 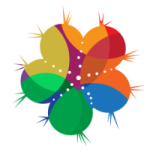 There also are many hybrids available. Trichocereus cajasensis is closely related and is considered to be a separate species by some authors. DNA testing is necessary to look into this. Thin columnar cactus that can get up to 50-60 centimeters tall. It grows prostrate and usually leans forward because of its tendency to creep. The epidermis is bright to pale green with many golden spines. 13-15 ribs and areoles are around 1 centimeter apart of each other. 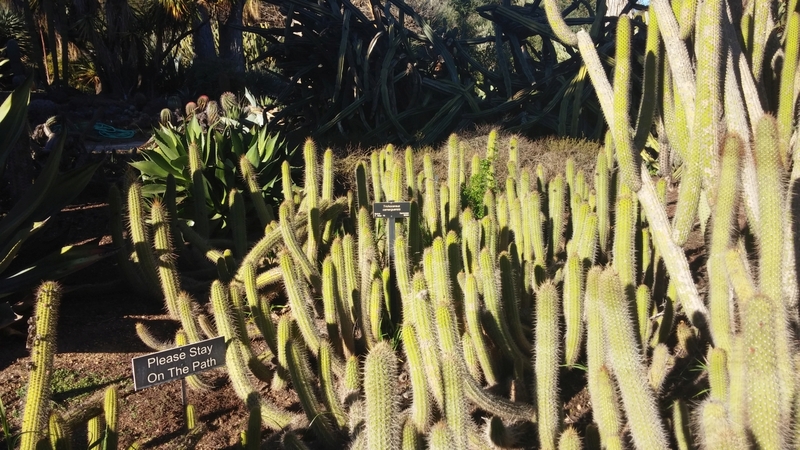 This cactus can resemble Trichocereus huascha and Trichocereus strigosus, but does not reach its large height! 12-15 radial spines and 1-3 middle spines that are up to 5 centimeters long, The spines are bright yellow and like very thin, fine needles. Trichocereus camarguensis is a night-flowering species. It also is self-sterile, what means you need pollen from a second plant to get seeds. Trichocereus camarguensis is USDA 10-12. It originally comes from Bolivia, where there is very little water and should not be overwatered. They are much more likely to rot than a Trichocereus pachanoi or Trichocereus peruvianus. So keep them more on the dry side and don’t water when it’s cold or rainy because that attracts mold and other infections. They like a mineral substrate and can deal with quite a lot of sun. The minimum average temperature should not go below 10° Celsius and that´s actually the temperature that you should overwinter them. Only water them between May and October if you have to bring them inside to overwinter. If you don´t have the luck to live in a country where you can grow them outside,then better not try it because they will most likely not make it through the winter! Just make sure to provide them with a winter protection that keeps em from getting wet all the time. They should take short, nightly frosts, but the absolute minimum is -9° Celsius/15.8 Fahrenheit. Frost resistance also depends on many other factors, like general health, soil composition and humidity. The same requirements as most other Bolivian Trichocereus species. Seeds need light to germinate and seedlings prefer mineral substrate. Sprinkle the seeds on top of the soil and put the pot/container in a warm room (25°-29°) and make sure it´s not getting too hot in there. As soon as all the seeds have germinated, keep a close eye on the temperatures because they can die from heat quite easily. Temps should not go above 30° Celsius! Especially in closed containers, temps can be substantially higher than in the room around them. 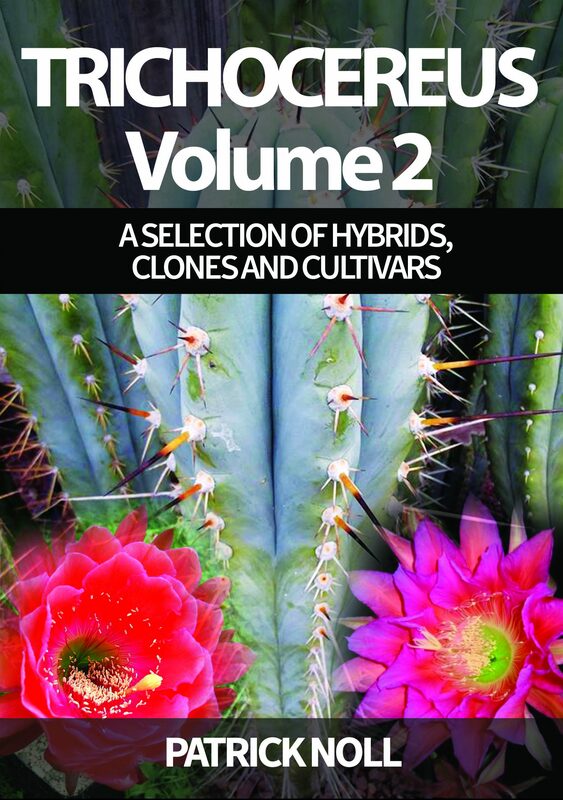 There are not many seed sources for Trichocereus camarguensis available right now. I have received some top notch seeds from the current harvest by a friend this year. 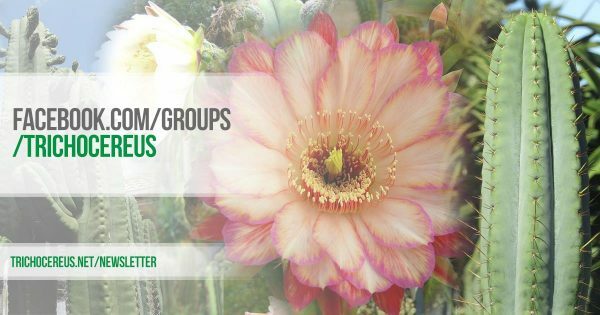 Check out the shop to buy some Trichocereus camarguensis seeds. Trichocereus camarguensis is used extensively in hybrid culture because they flower early on and produce a beautiful flower. Because of that there are many camarguensis hybrids with a flower other than white. Trichocereus camarguensis and Trichocereus strigonus are extremely similar. The difference is that Trichocereus camarguensis only has yellow spines, while T. strigonus has yellow and red colored forms. In addition, T. strigonus has much more spines and is a bit taller.